The Bhagavadgita has 18 chapters. Of them some are considered more important than others. One chapter that is not read or studied by many is the 10th chapter on the manifestations of God. People presume that God is all pervading. He exists in all. Therefore, there is nothing new about what you read in the chapter. What they miss in the process is an important lesson to learn and practice. While we do acknowledge that God exists in all, we do not actually live and act that way. We choose what we like and discard what we dislike. We respect some and disrespect some. Life also teaches us not to trust everyone. Thus the idea that God is all pervading remains on paper and in theory and rarely becomes the driving force of our perceptions, behavior, attitude and relationships. You might have also noticed that your knowledge is greatly limited by your attitude and perspective. If your perspective is limited, your knowledge remains limited. Your knowledge is also conditioned and shaped by your desires and interests. For example, nowadays many people do not read religious books or scriptures because they are disinterested. Thereby their faith remains weak, and their knowledge limited. The same holds true with regard to the knowledge of God or the knowledge of Self. If you want to know them, you must be interested in them, and you must look for them, search for them and learn about them. Then there are natural limitations to your knowing, which neither interest nor desire can resolve. For example, there is no way you can see God or your own Self with your naked eyes. Therefore, it is practically impossible for anyone to feel the presence of God in everything they perceive. Our scriptures say that when direct experience is not possible to ascertain truths, one should rely upon either inference (anumana) or scriptural testimony (sabda). For common people, these two are like two eyes to discern transcendental truths. Inference is indirect evidence. For example, if you see smoke coming out of a distant forest, you can presume that there may be fire from which it is rising. You might not see the fire but you can guess using logic and commonsense. Similarly we can infer the presence of evil in a person if you see in him or his conduct traces of wickedness, cruelty, or sinful behavior. We can use the same logic to infer the presence of Brahman in the objects of the world by the presence or absence of certain qualities, states and conditions. 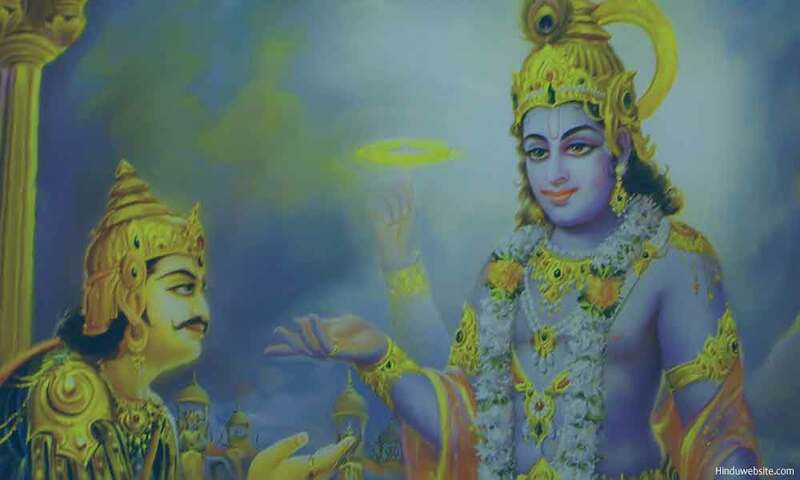 Most religious scriptures are authored either by God himself or by prominent spiritual masters or messengers who were able to establish a psychic connection with transcendental knowledge. They are therefore considered reliable to ascertain truths. The Bhagavadgita is considered a reliable source of divine knowledge. Hence, we can use it to expand our spiritual knowledge or learn truths about God. It is in this context, the 10th chapter becomes relevant and immensely useful to discern the presence of God in the world around you and develop God-centric awareness. From the list of manifestations described by Krishna, we realize that God is present in all things that are bright and beautiful. You can be certain that although God is hidden in all, in some he becomes more prominent and visible, which then become worthy or worship and admiration. For example, you can be certain of the presence of God wherever you find uplifting, inspiring, elevating and enlightening qualities such as light or effulgence, purity, beauty, knowledge, divinity, leadership, wisdom, intelligence, excellence, melody, harmony, strength, character, honesty, friendship, selflessness, power, patience, fortitude, fame, skill, devotion, perfection, royalty, charity, time, speech, reasoning, sacred sounds and chants, spirituality, saintliness, victory, shrewdness, power to punish, seeds of all things, support, prosperity, energy and so on. What should you do when you find these qualities in others or in the things you perceive? If you happen to see them in others, you should feel neither resentful nor envious, but acknowledge the deity who is hidden in them. If you find them in yourself, you should not feel pride, vanity or arrogance, but acknowledge that their source is the Self in you and you have them because of its presence. Thus whatever good you see in you or in others, you should attribute it to your divine nature and feel grateful, and whatever qualities you may not have you should cultivate them. This is the advantage of studying scriptures like the Bhagavadgita and paying attention to the truths they contain. They help you cultivate not only better awareness, knowledge and wisdom, but also discernment whereby truths become self-evident.